I made this delicious (and easy!) recipe from The Pioneer Woman many times this spring. 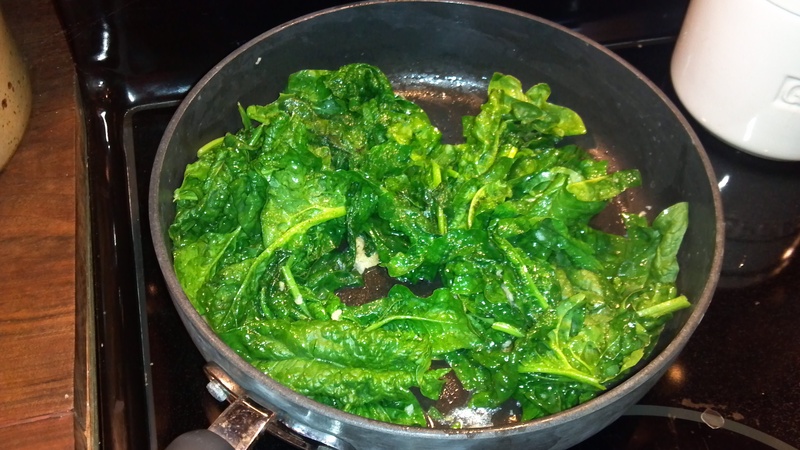 Basically all you do is add 2-3 Tablespoons of olive oil to the skillet, add TONS of freshly minced garlic, heap the skillet with fresh spinach (and I mean HEAP … it really cooks down! ), and cook for less than a minute. I should be just starting to wilt, but a tiny bit crispy. Add a little salt and YUM! Got a healthy does of iron many times from this little gem!